Pradeep Lall, John and Anne MacFarlane Professor of mechanical engineering, displays an additive printed flexible circuit in front of the Optomec Aerosol Jet 300 Printer. 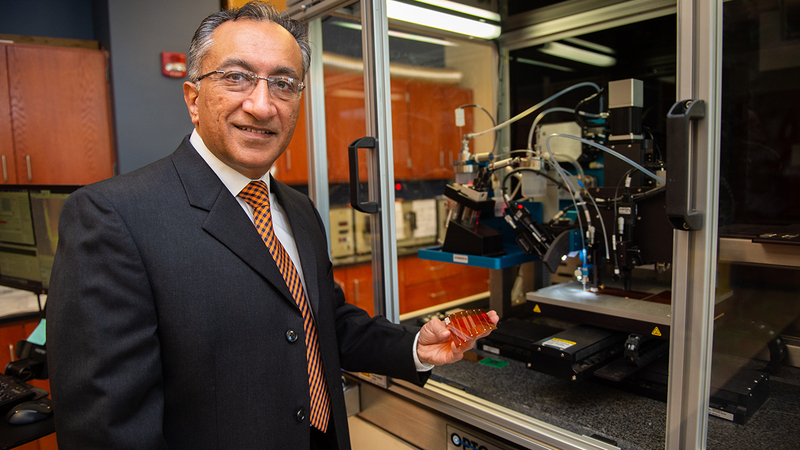 NextFlex, America’s Flexible Hybrid Electronics Manufacturing Institute, recognized Pradeep Lall at its recent FLEX conference in Monterey, California, as an individual who has accelerated the growth of the flexible hybrid electronics industry. Lall, the John and Anne MacFarlane Professor of mechanical engineering, received the NextFlex Fellow Award for his work in advancing the adoption of flexible hybrid electronics in the manufacturing, defense and aerospace industries, as well as in emerging technologies and medical applications. Lall is the lead inventor of the AU Biometric Band, a flexible wristband that uses a suite of sensors to monitor body functions. "The band monitors remote workers," Lall said. "So, for example, someone working in a hazardous environment— they might be wearing this band, which is monitoring physiological functions continuously and transmitting that information to a paired smartphone." The job Lall specifically had in mind when designing the Flexible Biometric Band was the inspection of cramped aircraft fuel tanks. Airline safety literature on the topic warns of claustrophobia, which can lead to a heightened pulse rate and lack of consciousness. Other risk factors in the fuel tank environment, such as low levels of oxygen, can lead to myocardial infarction, stroke or even aneurysm. The AU Biometric Band was recently highlighted in a Voice of America feature filmed during NextFlex's 2018 Flexible Electronics Conference and Exhibition. 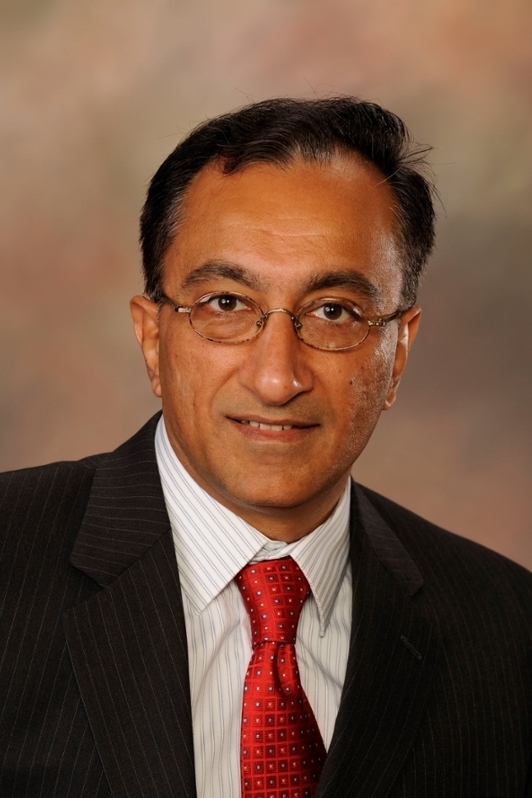 Lall is a member of the founding proposal team for the NextFlex Manufacturing Institute, which focuses in part on the development of additive manufacturing processes for flexible electronics and the development of protocols that test the reliability of flexible electronics. Auburn University is a Tier-1 founding member the institute. Lall serves on the institute’s technical and governing councils. He is also director of the National Science Foundation’s Center for Advanced Vehicle and Extreme Environment Electronics Center at Auburn University, which is equipped with additive machinery that can print electronics using aerosol jet and screen printing processes.